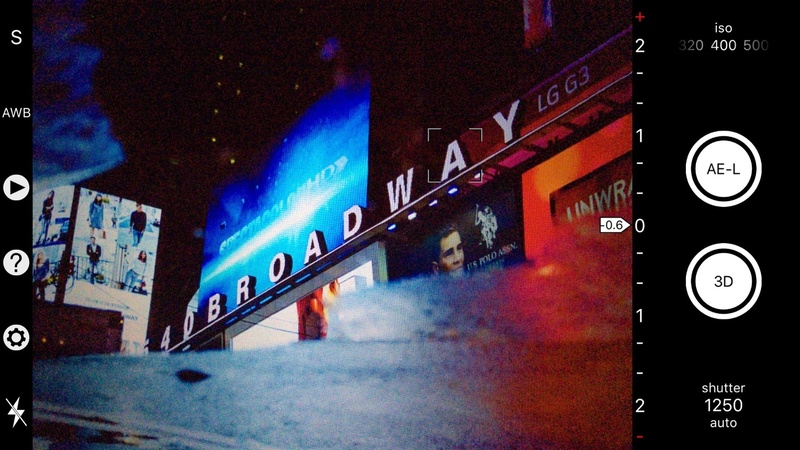 Videographer and photographer Daan van de Westelaken was on a quest to find the perfect camera app for his iPhone. 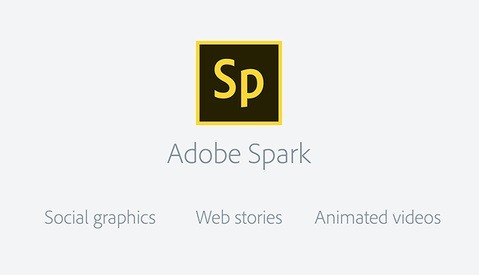 It's one thing to have all the features you want, but it's another thing to also not have the features you don't. Frustrated, he created his own, and after using it for almost a week, I'm hooked. It's certainly a tour de Force Touch. 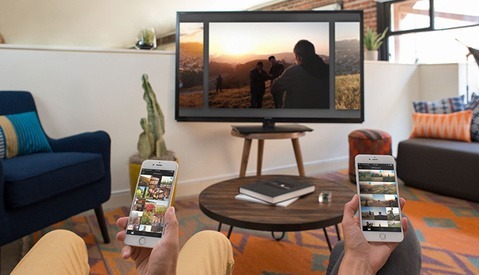 There is no shortage of camera apps for phones. There's a reason for that. First is that there are a ton of cell phones. iPhones hold the top four places in most-used cameras on Flickr. Secondly most of them have pretty lackluster built-in apps that offer limited controls and options. I myself have probably gone through no less than 25 different apps in the past few years trying to find that app that fits my desires and needs just right. It's been a never-ending Goldie Locks experience with apps always being too small in scope, or just plain too big. The big marquee feature that immediately sticks out is certainly the 3D Touch shutter. I hadn't seen this implementation yet in any camera app, but it works brilliantly and intuitively. Granted, you'll need one of the newest 6s or 6s Plus models to take advantage of it, but if you are able to you'll be surprised how nice it is. Even with the feature enabled you can bypass it instantly just by pressing hard, forgoing the half touch. This gives you the benefit of two different focusing methods, both traditional and 3D Touch, with a single button. The swipe system is intuitive and refreshing. The screen divides into areas (rows in landscape, columns in portrait) and you just slide your finger along the edge of the screen to adjust either ISO or shutter. There's a really handy help guide that overlays the instructions for while you're first getting used to the app. This shows you the rows/columns and what they do. If you want to go auto, just tap either the ISO or shutter displays. Tapping is the name of the game on the other side of the screen as well. To switch between focus modes, just tap the letter to cycle between S (single), C (continuous), M (manual), and F (face). Single and continuous are pretty self explanatory. Manual is true manual, like a real camera. This is something you will very rarely or never see in a camera app. Sliding your finger along the screen will adjust focus no differently than spinning the focus ring on your camera lens. It even supports focus assist zoom and you can set your zoom ratio in the settings. I really want to like it, but I had some difficulty getting focus to be smooth and consistent. Granted the depth of field is extremely deep on such a small sensor, but at close distances you can definitely be a little off if you're not careful. This is certainly something that could be tweaked with future updates. Face detect is also an option and is designed to focus on the largest face in the picture, which unless the person is uncommonly large, will probably be the one closest to the camera. This mode works remarkably well. It locks on very quickly and tracks instantly. It also seems to work in very dark conditions where I could barely even see the face of my subject myself. White balance can be toggled between auto and manual. In manual, just swipe across the screen with two fingers to adjust it. Flash has two modes: on and off. Enough said. 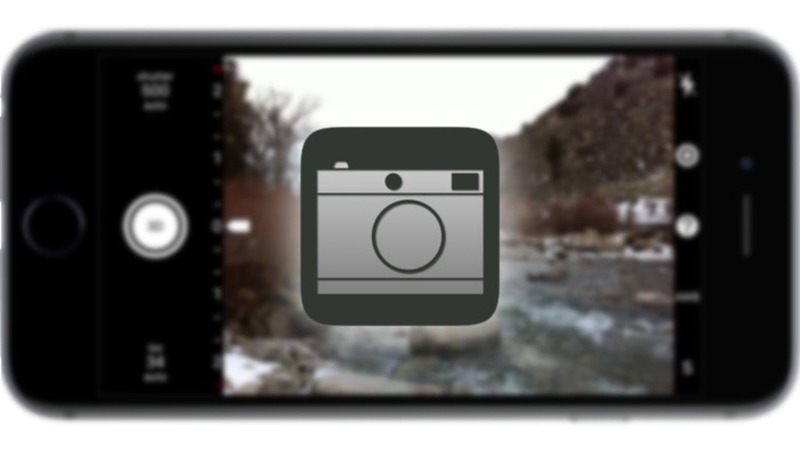 The play button brings up a camera roll sort of display of your photos. I guess it's nice because you don't have to leave the app, but there's pretty much nothing than can be done with it aside from basic review. You can pinch zoom, swipe between photos, and select a grid view. That is absolutely it. Since the photos go straight to the camera roll without having to do an export, there's really no reason to use it as currently implemented. The gear brings up the settings, and this is the real joy of Custom Cam: It has all the settings you care about, and none you don't. While the controls the app provides are very minimal, the options for those few controls should please everyone. If you're even moderately familiar with a regular professional-caliber camera, you'll feel right at home with AF-S and AF-C focus, and metering modes like matrix, center-weighted, and spot. Image quality can be selected between JPEG and TIFF. If you always edit in-camera, JPEG is probably fine, but if you are using your phone in a professional workflow with accessories like Moment Lenses and sending your photos to your computer for editing, TIFF is what you want. This is as close to raw as you can get from an iPhone. You can select one or two "shutter buttons", and they can both be one of any number of combinations of shutter, exposure lock, and focus lock. You could actually set a button to be AE-L, and another to be AF-L. Both physical volume buttons on the camera work as shutter releases, but you obviously give up 3D Touch. 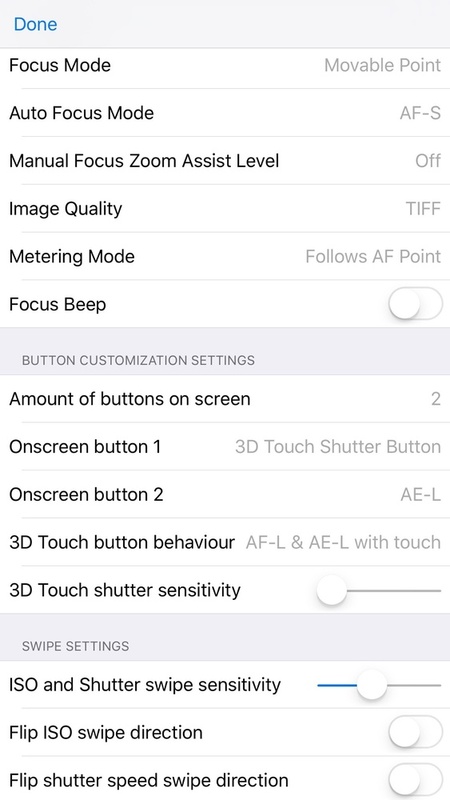 If you choose to utilize 3D Touch for the shutter (which I recommend at least trying), you can select exactly what a half-press does between AF-L only, AE-L only, or both. The fact sensitivities are also adjustable just shows how much thought and care was put into this app. I actually raised the ISO/shutter swipe sensitivity a bit because I didn't like the default low setting. 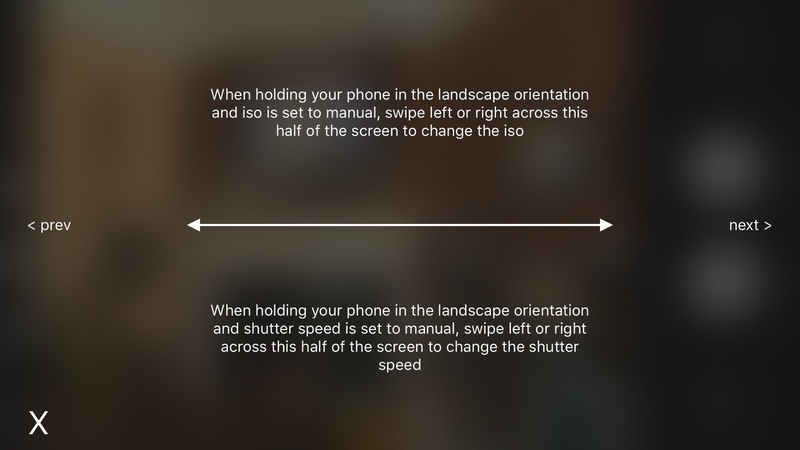 ISO and shutter swipe directions can also be flipped. This is great for the kind of people who have a strong opinion towards Apple's "natural motion" default on their trackpads. There's no wrong answer, just personal preference. I love how most options fit on the screen at once. The only options not shown are regarding default cropping of images (square and 16:9 are the only choices) and whether the crop is shown by black bars or framelines. That's it. Custom cam has every option I have ever wanted in a daily-use camera app with none of the fluff I don't care about (I'm looking at you, Camera+). Custom Cam doesn't do everything, and that's okay. 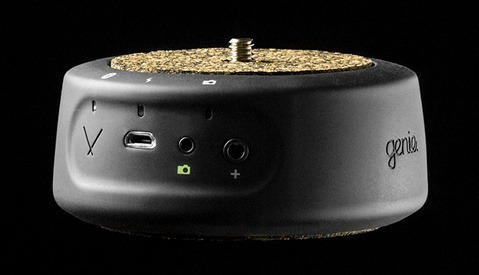 There are still useful specialty camera apps like Slow Shutter Cam, Cortex Camera, and NightCap Pro, but Custom Cam is the new king of the roost for daily-use general purpose camera apps as far as I'm concerned. Incredibly focused feature set with tons of manual control with fast and easy automatic override on individual features. 3D Touch implementation for shutter is flawless and quite useful. Easily customizable from the two primary buttons down to touch and swipe sensitivity and flipping of swipe direction. Slick and minimal interface with a great implementation of exposure compensation. The manual focus and white balance swipes are inconsistent. Manual focus was jumpy, and I could actually only get manual white balance to work at all the first day. Once you learn the camera's controls, you really don't need the help button anymore, but there's no way to remove it from the shooting screen. The small shooting mode buttons are just a hair too small. Sometimes it takes a few presses to switch focus modes. The bright white buttons and text in shooting mode can be distracting. Would like to see them more a shade of gray. The name. While you can customize things, that's not really the selling point of the app to me, so the name doesn't seem to fit just right. Custom Cam is available in the App Store right now for just $1.99. If you like it as much as I did, tell us below and consider leaving a review for the developer in the App Store. I have to admire that this was done as a pet project by a small-time app developer and it was done so incredibly well. If you have any suggestions or feedback for future versions of the app, in addition to a review, you can also email Daan or visit his website. I think ProCam has to be the best iPhone camera available. Full manual controls. White balance(2000k to 10000k), focus, iso(32 to 2000), shutter speed(1/12000 to ¼), exposure. Slow shutter(low light, light trail, motion blur) intervals 4, 8, 15, 30 and bulb, Burst mode, night mode, photo, video, and time lapse modes. Offers Up to 4K video. Hits a variety of fps between 24, 25, 30, 60, 120, and 240. Apple Watch app for shutter button. All around great manual camera. There are a lot of solid camera apps that have a ton of features, for sure. The beauty of Custom Cam is how focused the feature set is. I tried it on an iPhone 6S, and some of the controls are not really working: Manual White Balance change with 2 finger swipe, and Exposure Compensation in the Lower part of the screen Swipe, if those were working it woul be a perfect small app. There was a small little bug that prevented the manual white balance from working, an update has just been submitted to apple and should be available in a couple of days. Gave this a shot yesterday and it works quite well on my 6S+. I will use this more just for the shutter speed control. Changing the shutter speed and ISO by swipe is nice but that's also rather clunky feeling, lots of swipes needed to move it. I expected this would work like a slider that I could move as far as I wanted instead of in 1-stop increments. The image also stopped updating on me a few times after around 5-10 seconds being pointed towards a sunset. I could still take photos of what the viewfinder "saw" which had stopped updating. The swipe not being a slider is a choice on my part, so I can hear how far I'm moving it without constantly looking at the shutter speed or iso indicators. You can make it more sensitive in the settings menu though. I haven't been able to reproduce the bug where it stops updating, but I'll look into that some more. This app does not work at all. Waste of $3. I can't control anything with swiping and the app keeps flipping up side down. Way to sensationalize a brand new app to get someone some downloads/money. I did have an issue with the swiping for white balance that I mentioned in the review and the developer has already fixed and pushed out for the next update. I did have to adjust the ISO and shutter swipe sensitivity to my liking at first. But the screen flipping is not something I encountered. Definitely let the developer know about your issues and I'm sure he'll get right on it. Although he'll probably see your comment as well. I'm bummed out you're having problems. While I was asked to check out the app, I was not required to write about it, nor was I paid or incentivized for an opinion either way. I genuinely love it and it has become my new everyday camera app. It is the best iPhone camera app for me, and that's no joke. Actually, now that I'm thinking about it, I did have an issue with my screenshots being upside down which was really weird. While my screen didn't physically flip, the phone must have thought it was upside down in some way. I'm leaving this comment so Daan looks into it for both of us. I've tried but so far haven't been able to reproduce the screenflipping bug. But I'll investigate further. The reason your screenshots are flipped is because the orientation is locked to one of the landscape orientations. That is one of the few ways to only get the interface elements to rotate instead of the entire app when you rotate the phone. I haven't experienced a single crash on my 6s+ with 9.3.1 in over a week of use. Man, I just think it's stunning the length iPhone users will go to not come to terms with the fact their iPhones do not offer the manual settings that Android IOS for the last year. It's technological Stockholm syndrome. And so many Android users don't understand that some of us prefer the iOS ecosystem. It's that simple. And we have apps that provide full manual control. So what's the problem? No, not the app. I'm saying the reason why many of us choose iPhones over Android equivalents is for the ecosystem. And with so many great third-party apps, it's okay if the stock app doesn't provide all my needs. I'm using the app with an iPhone 6 and it seems to have full functionality. I guess we tend to like the phones we have for one reason or another. There will always be something better or different.